Click SHOW ALL FEATURED ITEMS to include all of your products. 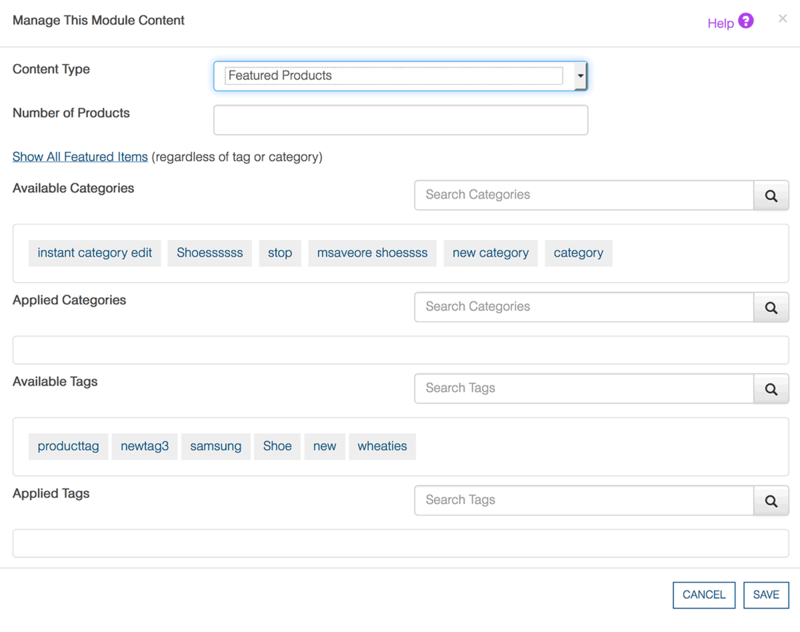 The module block will now show a new, random set of featured products, matching the number you entered in the previous step, each time a user visits the page containing the Featured Products module block. Click an item in the AVAILABLE CATEGORIES field to sort featured products by category; it will move to the APPLIED CATEGORIES field. Click an item in the APPLIED CATEGORIES field to unassign it.